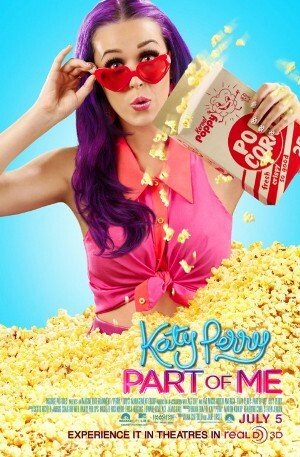 -The scene where Katy Perry is born is unnecessary and far too graphic, especially in 3D. -In the trailer for this film, Perry seems humanized, talking of her struggles in her climb to the top, complaining that her car had been impounded. It is disappointing, and shocking to learn that her car was impounded after she tried to run down a hitchhiker. -The scene where Perry announces that she’s attracted to Brand, because she’s ‘always been a fan of the way people look in those fun house mirrors’ just seems mean. -I agree, the film is pretty shallow up to this point, but having Katy Perry announce that Keyser Soze is Verbal Kint seems to be a failed Hail Mary attempt at adding depth to this movie. – This makes no sense. Katy Perry just died of a drug overdose. This seems like an inaccurate and dark way to end a biographical picture about a pop star who is still alive. « Army Of Awesome People Nominated For 3 Awards. Here are 5 other awards we wish we hadn’t won. i do like katy perry because she has a great voice too and her body is awesome .